The Iranian wolf was identified as gray wolf subspecies Canis lupus pallipes in 1931 by ornithologist William Henry Sykes. 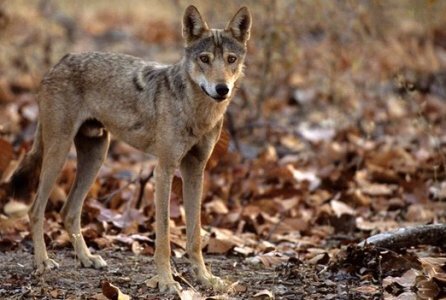 Because of their overlapping habitat and physical similarities, the Iranian wolf and Indian wolf were for a long time recognized as one and the same. The habitat of Iranian wolves varies from arid desert regions to dense scrub forests. They can be found in the Middle East and Southwest Asia; more specifically, Northern Israel, Saudi Arabia, Afghanistan, Turkey Pakistan, and Iran. Because of such a variation between habitats, there is likewise a great variation in physical features and lifestyle among this one subspecies of wolf. 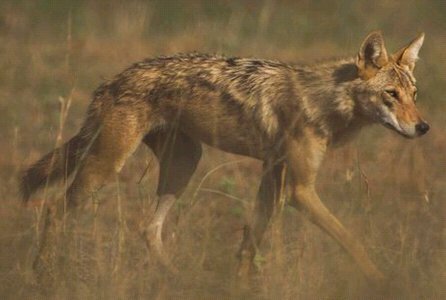 Like the Indian wolf, Iranian wolves are smaller than wolves of Northern Europe and North America. Iranian wolves vary from 25 to 40 inches in height, and weigh from 55 to 70 pounds. Because of the drier and harsher climate, their fur is a short light-grey with either little or no undercoat. 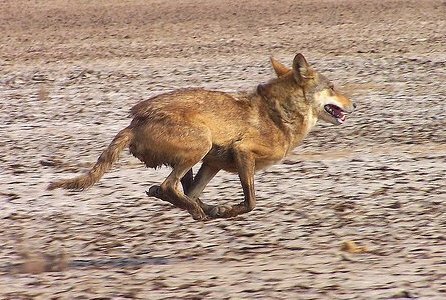 Just like many other creatures of the desert, Iranian wolves have large ears to disperse body heat. Iranian wolves may be found in packs of 5 to 15. Wolves in harsher climates may hunt in pairs or even individually, depending on availability of prey. They feed on a number of small mammals such as rats, squirrels, mongooses, and ground birds such as partridges, quails, jungle fowl, and lapwings. Mating occurs during winter. To help maintain the strength of the pack, just the dominant pair mates. The mother usually gives birth to 3 to 5 pups. Both the male and female look after pups until they are 6 months old. Iranian wolves are forced to share their habitat and prey with an encroaching human population. They are viewed as a threat by many people. Just like the Arabian wolf, the Iranian wolf is threatened by interbreeding with domestic dogs. Its life span is from 16 to 20 years in captivity, and 8 to15 years in the wild.